The WSU Extension 4-H Youth Development Program abides with the nondiscrimination policies of WSU and the USDA. 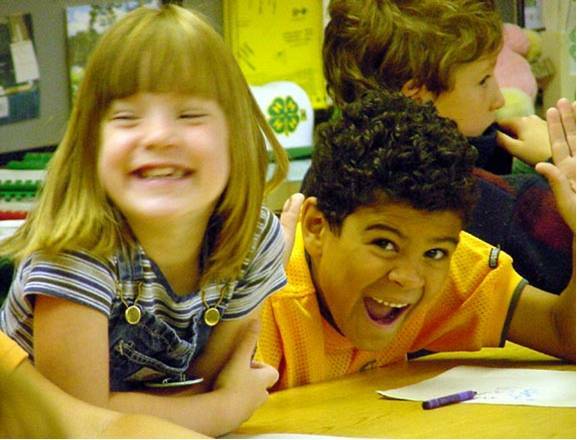 4-H is open to all youth between the ages five (5) and nineteen (19) (4-H Age). 4-H Age is determined by October 1st of the current 4-H year. Youth who have reached their 5th birthday (before October 1st of the current 4-H year), through those who have not reached their 19th birthday (before October 1st of the current 4-H year). Nope! 4-H members can explore any subject area that interests them! Project areas include, but are not limited to: Expressive Arts, Family Living, Environmental Stewardship, Plant Sciences, Animal Sciences, Engineering & Technology and more! Each 4-H member selects at least one project. A project is what the subject the member decides to learn about, make, or raise. Members choose projects that fit into their family, club, and community. 4-H members choose a subject and prepare a presentation which is presented to others. Members learn important public speaking and communication skills. 4-H members keep a written record of what they have done during the 4-H year. Keeping records helps members evaluate their learning and develop business sense. 4-H Clubs plan and execute community service projects. 4-H clubs often choose projects in conservation, beautification, safety, or health. Contests and fairs give 4-H members an opportunity to showcase their project and what they have learned throughout the year. The Grays Harbor County Fair usually takes place during the first part of August. A variety of daytime and overnight experiences are available to choose from for both younger members and teens. Camps and conferences offer opportunities for education, leadership and personal growth.